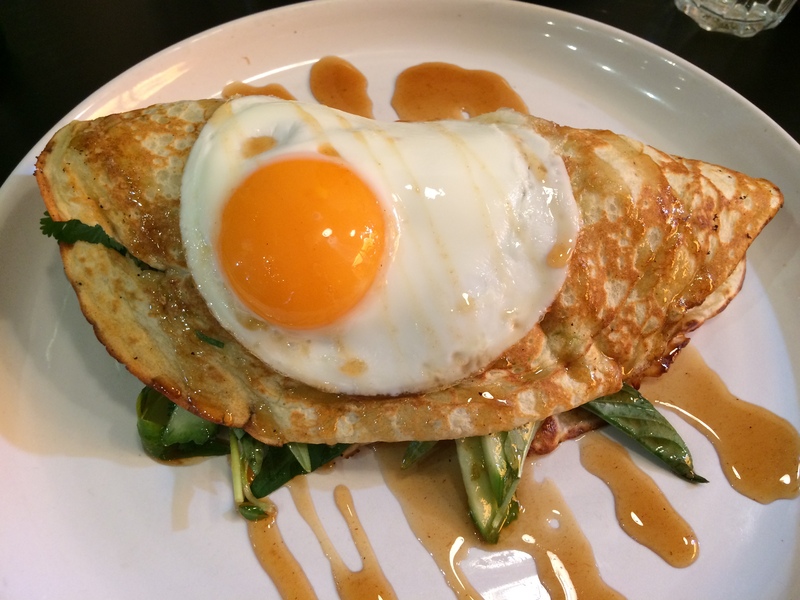 Have you ever been reluctant to try the sister of one of your favourite restaurants? It can potentially tarnish the feelings you have of the original when you meet the family. Will the new be the focus to the detriment of the old? The first thing to do is make sure the two are located close to each other. The second is to not copy the original but keep enough similarity that the two can be seen as complementing each other; that they have a reason to exist side by side. I believe the crew behind Tipo 00 have done this to the letter when it comes to Osteria Ilaria. 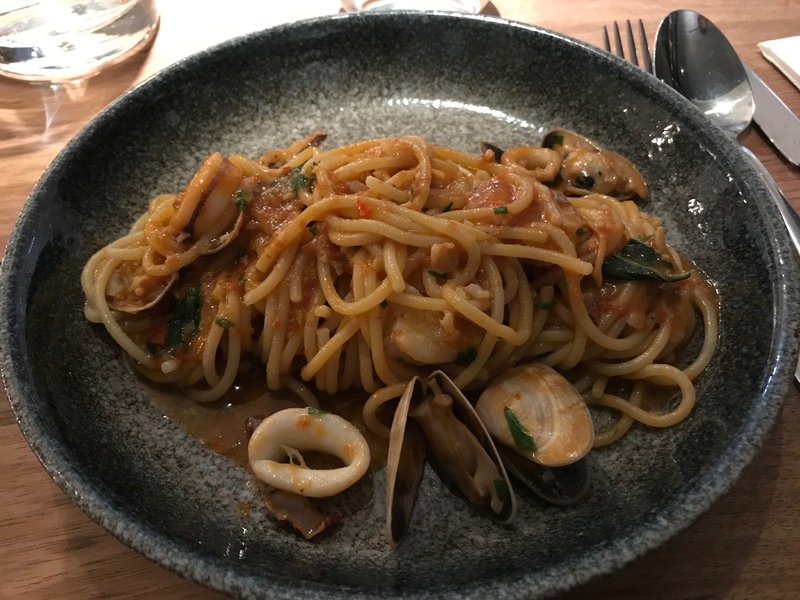 Located right next door, the new kid on the block to the gastrotemple that is Tipo, does not look to provide more space just for the same menu. It takes some of the building blocks, in a much larger setting, and adds some modern pizzazz. If you consider Tipo the modern tick to great Italian classics, Osteria goes that one step further, appealing to an even more diverse audience. Today is a stealth mission, with limited time to dine, and no booking, we have no idea what to expect. Gladly we get a place on the bar and we are ready to eat. What we didn’t realise is that we would not just try a main, but indulge in dessert too. After we order our main we have some time to look around. There is a lot of bar space, and many areas for sitting comfortably in groups through the large rectangular space. The waitstaff have that authenticity you see at Tipo, but they are a bit busier with all the diners. My spaghettini, a special on today’s menu, arrives beautifully presented, with lashings of clams and squid. It is a clear demonstration that the quality of the chefs here is the equal of next door, and I do believe they work between the kitchens. An instruction on rusticity, the goat and fregola is also one of the specials today. 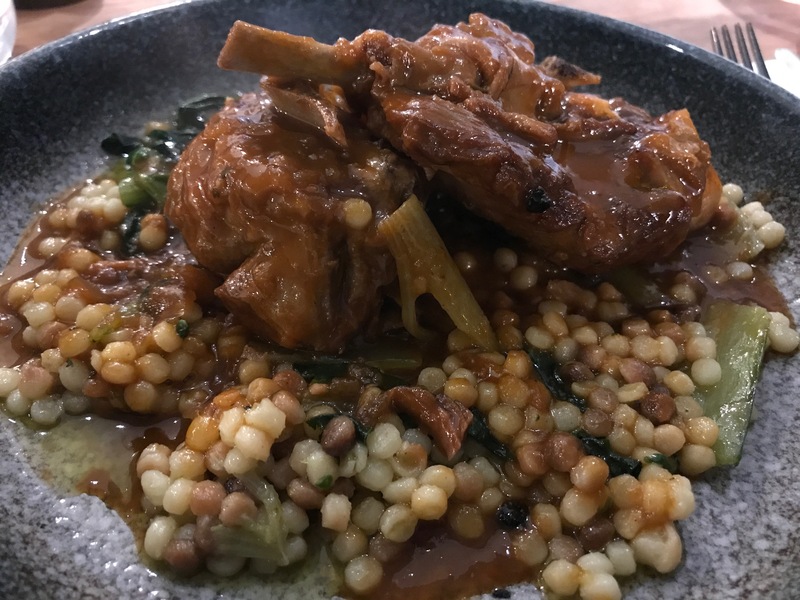 The slow cooked goat is delicious, and the fregola is the perfect carb, capturing the sauce and providing some texture. Unbelievably I have a little bit of menu envy for Catherine’s choice in a bit of a role reversal for the two of us. For dessert we were back in our usual position. Me ordering the chocolate, and Catherine ordering something a little less rich. The olive oil chocolate mousse reminded me a touch of our favourite Tipomisu from next door in presentation, but it was a dessert all of its own. 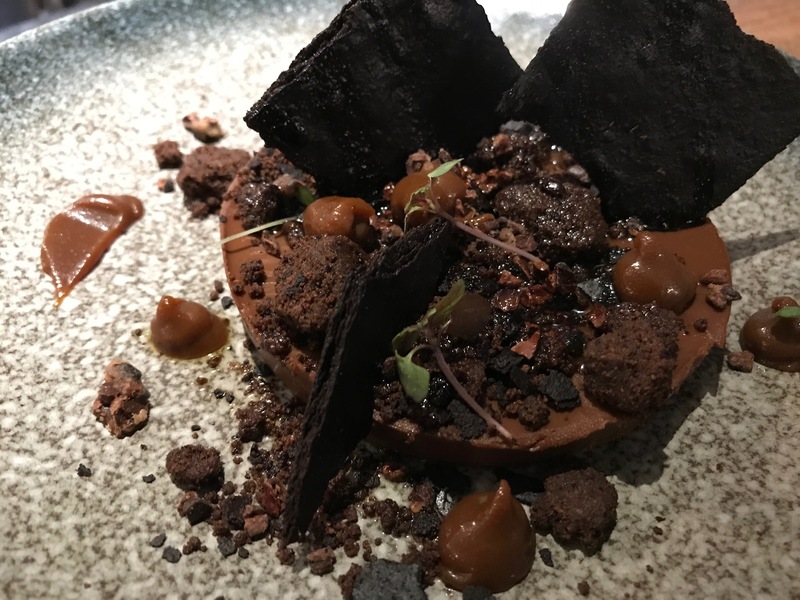 The biscuit was crisp, offering texture and restraint to the deep chocolate richness of the mousse, crumb, and sauce. By the end it was a bit too much, so maybe one for sharing. 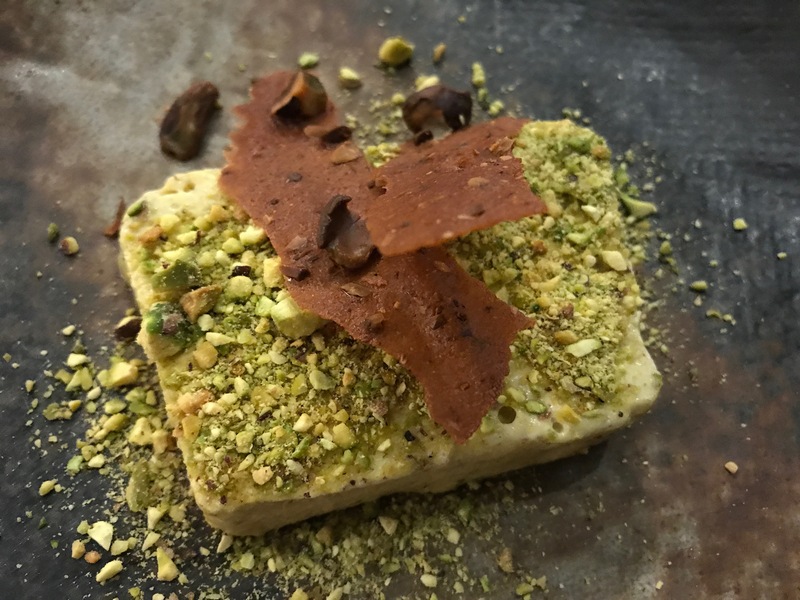 The pistachio semifreddo on the other hand could be finished off in a matter of a couple minutes. Distinct pistachio creaminess was elevated with the use of a generous scattering of chopped pistachios, the whole dish another winner. By now our casual lunch had escalated quickly. It is difficult to think of how to split future visits to this patch of Little Bourke Street that has two sibling restaurants side by side, absolutely smashing it. My take is that sitting on the bar at Tipo 00 as a couple is still my perfect place for a classic Italian three course; Osteria Ilaria is still great on the bar, but seems to be suited to a small group too, with lots of dishes designed to share, in a much larger (and perhaps more comfortable) setting. Either way I’m impressed by this restaurant on its own merits. It must fill the owners and staff with a sense of pride to see a cafe develop to the point it can move down the block into a much larger, and nicer space, due to its popularity. From humble beginnings, one Swan Street cafe has stood the test of time. I have not been to Cheeky Monkey since New Year’s Day in 2010. The talk that day was about a huge New Year’s Eve and about one particular bucket that was used for more difficult duties than it was built for, by a guest at my place. Given the hangover from the night before, it was all about bacon and eggs to soothe us, but I do remember it being a good experience. There wasn’t however anything notable to make a revisit necessary. There were many locals in Richmond equal to Cheeky Monkey, and they were closer to home in the northeast of the suburb. Somewhere along the way the quality increased to an extent necessary to grab big crowds. Today we are eating one hundred metres further up the road in a modern designed and furnished room, adjoined to a florist, making the scene even more attractive. As I thought might be the case, the menu is enticing, and the coffee makes an instantly good impression as we choose. The Peking pork pancake stands out and I’m glad I followed through and ordered it. 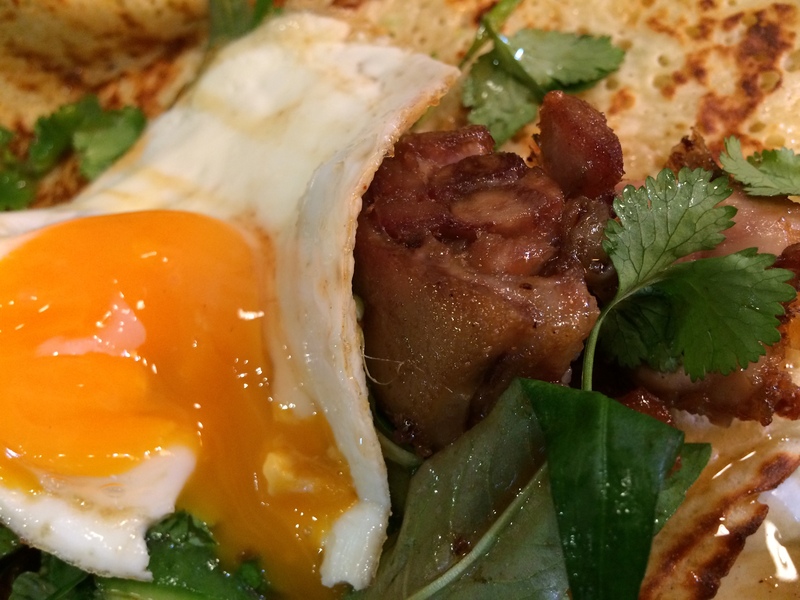 The pancake itself is well made and holds the crispy pork hock, along with its classic Asian counterparts in spring onion, cucumber, and an array of herbs, topped by a fried egg. It feels like a brunch classic, although I don’t know how long it has been on the menu. 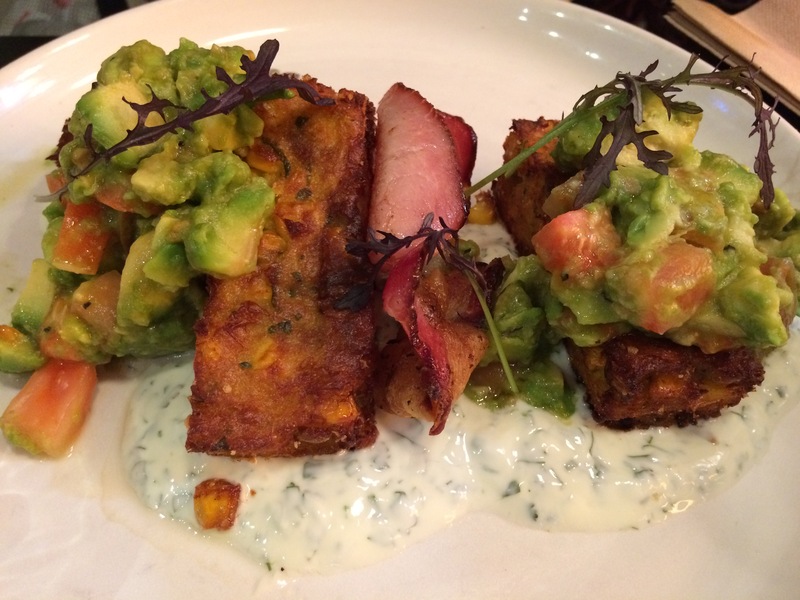 Catherine goes for the corn fritters, served generously, accompanied by bacon, and plenty of tomato and avocado, sitting in a coriander yoghurt. It’s a good dish, perhaps a bit large, but that isn’t a criticism. In fact, it is probably a sign of why Cheeky Monkey is bustling most days of the week. While we haven’t yet been back, there is no doubt it will not be seven years again between visits! The coffee is particularly good, so I’ve had a few here since, and have even used the florist multiple times. It seems the combination of these businesses appeals in more ways than purely providing a good looking (and free) fitout for the cafe. New places often spring up without an obvious explanation. I am often fascinated by the amount of due diligence owners conduct before opening a new cafe, restaurant, bar or other casual eatery. There are some inexplicable openings. Naturally they lead to closing in quick time. For example there is a burger joint that opened on Swan Street that took longer to renovate, than the time it was actually trading for. Whether the reviews were accurate or not, it was empty every time I walked by. They opened across the road from a flashy, large branch of Grill’d, that was popular and cheap. To open across the road you need to be confident your product is better, and resilient enough to see it through. Further down Swan Street, in the old Union Dining, a new bar has sprung up. I see eye to eye with whoever opened the now named, Union House. Only months before, Catherine mentioned how the food at most pubs in Richmond is too similar on the menu, and not differentiated enough in terms of quality. It seems to me that Union House identified this gap and acted on it. Add a clean lined, spacious renovation, both upstairs, downstairs, and in the terrace, and you have the ingredients for a lengthy member of Richmond’s dining scene. There are the obligatory selection of beers on tap, and a balanced focus on eating and/or drinking. Union House differentiates itself on food though. While I’ve eaten from the bar menu twice downstairs, the broader offering (as well as the bar menu) is available both upstairs and downstairs. It is not a “gastropub”. It is more a few focussed pub classics at a price reasonable enough to eat here multiple times over the space of a month or less. 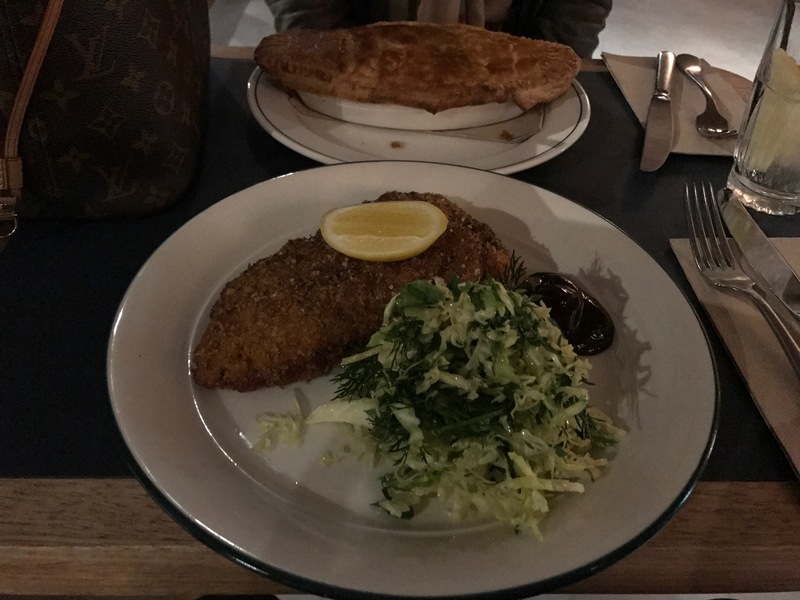 I’ve tried the veal schnitzel and the “pub steak” and they are both simple meals that are well executed. 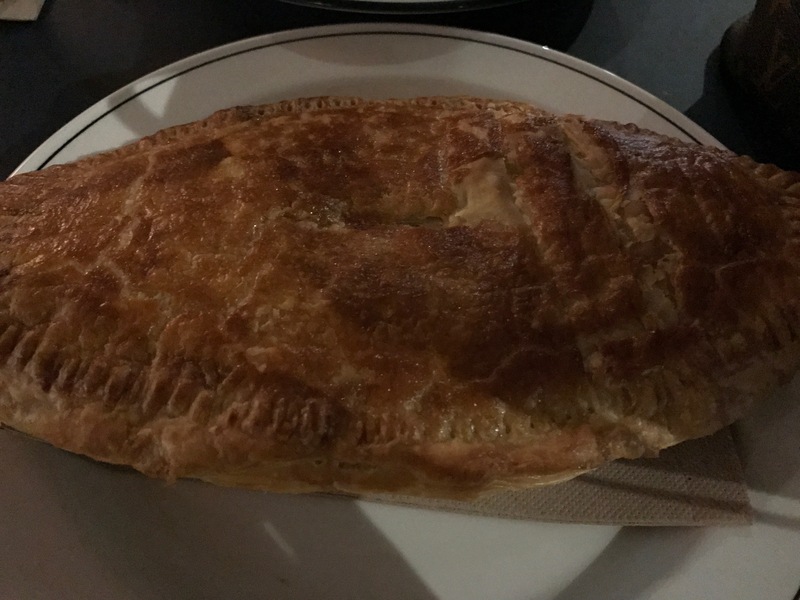 Catherine has tried the chicken and leek pot pie, which comes out looking a bit bereft of greenery, but is again tasty and well made. 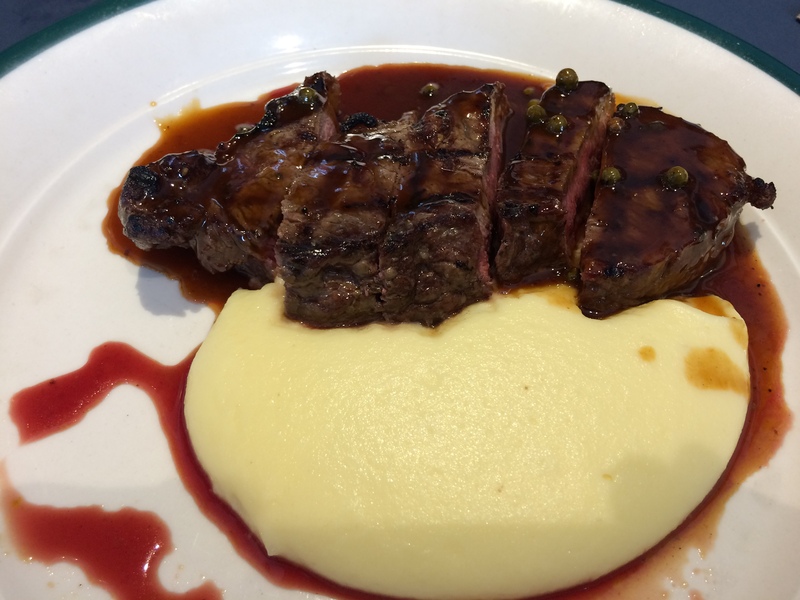 In fact, don’t expect any greens or leaves with the pub steak either (not that I took any issue as it came with a good mash, and nice pepper sauce). A little bit more resting could have aided presentation, but it didn’t impact the taste. At lunch, my work colleagues enjoyed the rockling burger, though Natalie thought the colour palate used during the renovation was unattractive. Lastly, Julie was a touch concerned with the chicken in her burger, still enjoying it as a whole, with the jury out on whether it was actually very slightly under-cooked. Horses for courses I think in this case, but something to be weary of nonetheless. With counter service downstairs, it is certainly more your typical bar. On the couple of occasions I’ve eaten here I have found the staff to be fine, one of the managers taking time to offer Catherine and I a quick tour upstairs, such was the enthusiasm in the opening week. While a bit further down Swan Street, Union House is a great option for more discerning diners off to the MCG or AAMI Stadium, though it will naturally stay quieter than places like the Corner Hotel, The London, Richmond Club and the Precinct on game days. The real test will be if locals come in regularly, and I think they will. Both the food and the price point are compelling. 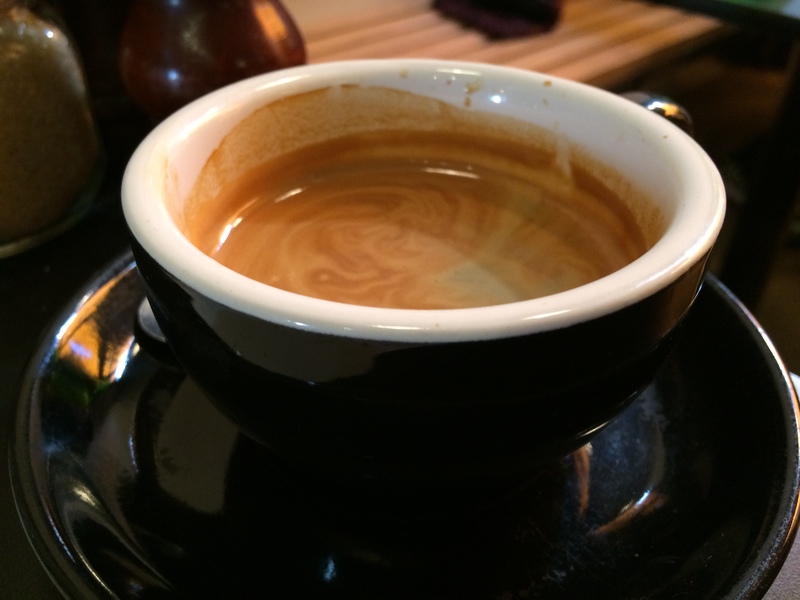 It is staggering the number of above average cafes now open in Melbourne. Once, you could look through anyone’s list of the top 20 cafes in Melbourne, and it was easy to have tried half of them. These days, that is simply not the case. In fact, there are more good to excellent cafes opening each year then is possible to try. Giving up is strong language, but really the odds of getting around to each and every great Melbourne cafe, from Pascoe Vale to Elsternwick and Beaconsfield to Northcote, is impossible. Why am I talking about this very obvious situation? It’s because Sloane Ranger opened up several weeks ago, literally a kilometre down the road, and this is the first time Catherine and I have been for breakfast. I did pop-in for coffee once, but that was all. It struck me at the time that staff (including the one looking like an owner) were extra enthusiastic. Not in an annoying way; just genuinely excited about Melbourne cafe life. This time for breakfast, it is hard to think of more accommodating people. Again, going out of their way to be helpful, but certainly not in an over the top way. Looking down at the menu, there are around a dozen dishes, but there is nothing that is shouting out at me. Sometimes this is a good sign because I often try something a bit left-field in these situations. Today I go with the cheesy cauliflower fritters and chorizo. 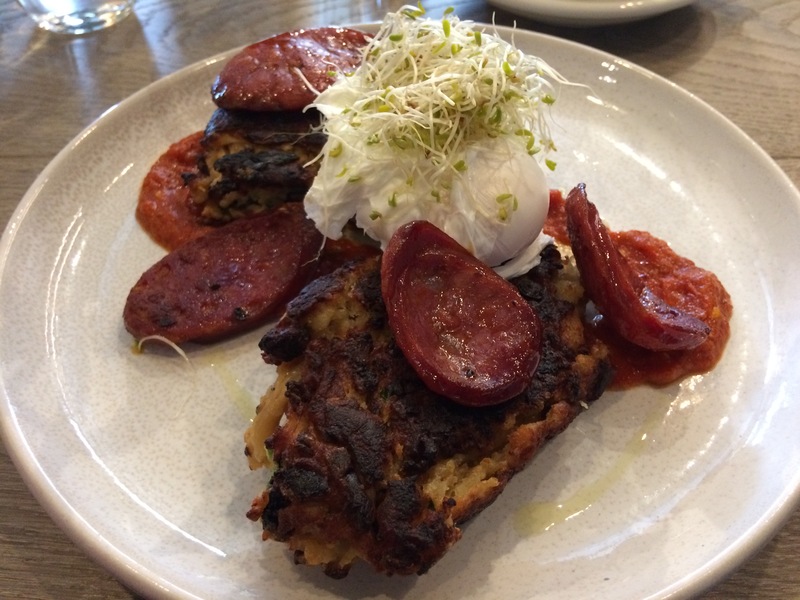 Topped with a poached egg, and accompanied by a smoked tomato chutney, the fritters are excellent. It is not something I’ve tried before, but the combination does work, the chorizo bringing some nice spice, as well as saltiness. Catherine’s smashed peas is great too. 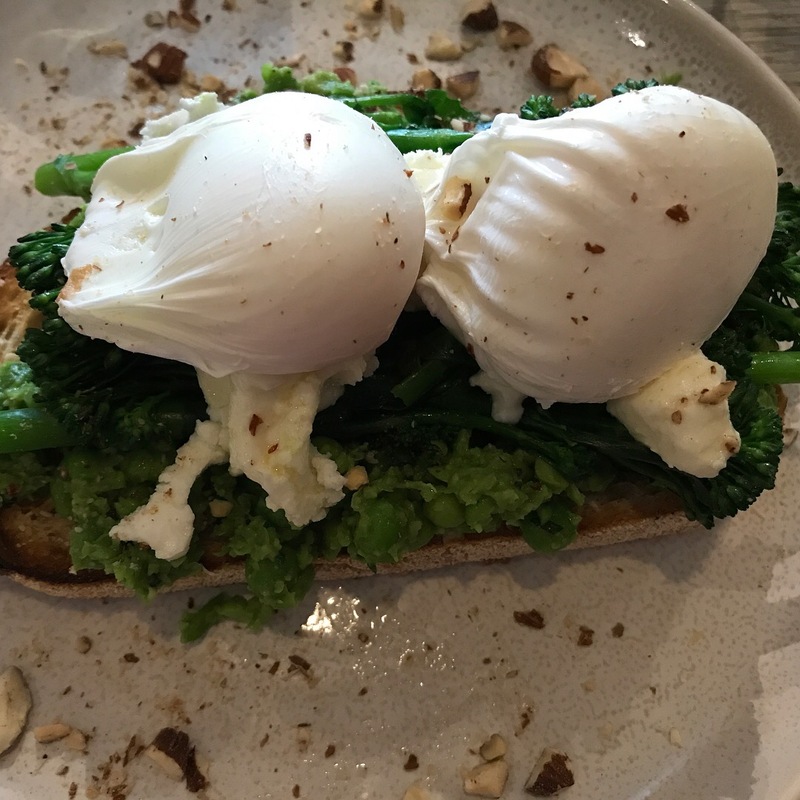 Nicely presented, this well known combination of greens, feta, and runny poached eggs, is well executed. The fitout here is pretty standard. It’s comfortable, with plenty of communal seating, and a curious bar type space out front that will be far better utilised in summer. Coffee is well made. I’ve noticed a sudden rise in the quality of cafes across Melbourne with very little room for mediocrity these days. Sloane Ranger is another quality player that is hopefully here to stay. With all the action on Swan Street, there is a lot of pressure, but the sheer enthusiasm goes a long way when backed up with quality food and coffee.